Unite has been receiving feed back from some rigs and installations that members are being told by some companies that trade unions are banned! This is an unacceptable position for any individual or company to present as fact. We can only assume that this is a lack of knowledge rather than a deliberate ploy to undermine the legitimate rights of individuals. Unite has a proud record of defending those who suffer victimisation for being union members. 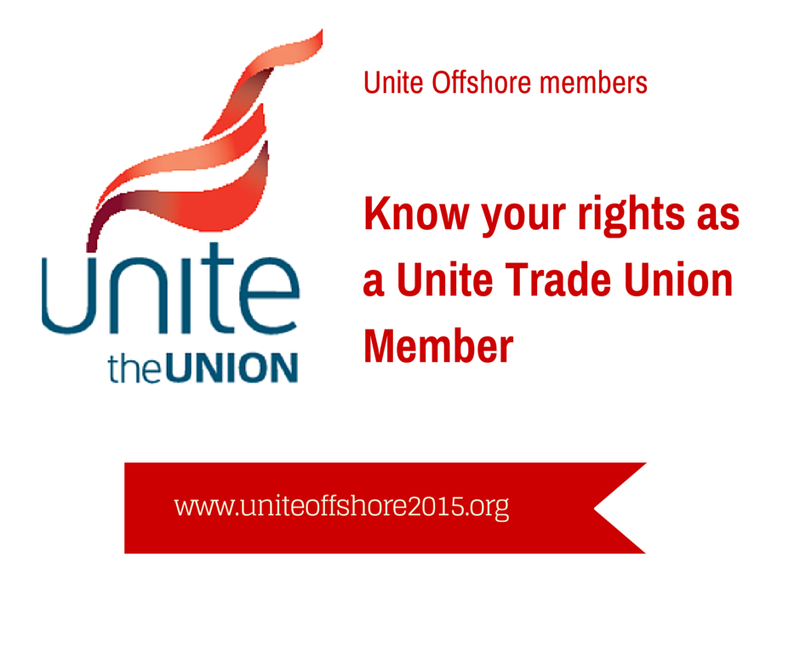 If you see any potential discrimination for being a member of a trade union or have experienced this yourself please get in touch with us via the website email offshoreunite@gmail.com and one of our organisers will arrange to contact you. < Previous Dron and Dickson members ask to be balloted for lawful industrial action.